Drawn to Birds: Niagara lifers! There are about 50 gull species on Earth, and 21 of them have been observed in Niagara. Tens of thousands of gulls flock the river throughout the winter, and this gives birders the once in a lifetime chance to see rare species coming from all over North America. This December, I had the incredible opportunity to visit Niagara, and see some of the area's specialties. I started out at the Sir Adam Beck hydroelectric plant. From the platform overlooking the reservoir, one sees so many gulls, it's almost impossible to see the water. The highlight was two Iceland Gulls, but I wasn't able to pick out much else from there. Next, I followed the river upstream to Dufferin Islands Park, which is located just west of the Falls. It wasn't a long walk to the water from there, and I had astounding luck to see the Red Phalarope and the late Purple Sandpiper that have been hanging around there that week! The sandpiper was difficult to see in the distance, but the phalarope gave us amazing looks - it must have been only a few metres away from the lookout! I have only ever seen phalaropes on pelagic trips before, however it is completely different to be able to study them this closely. 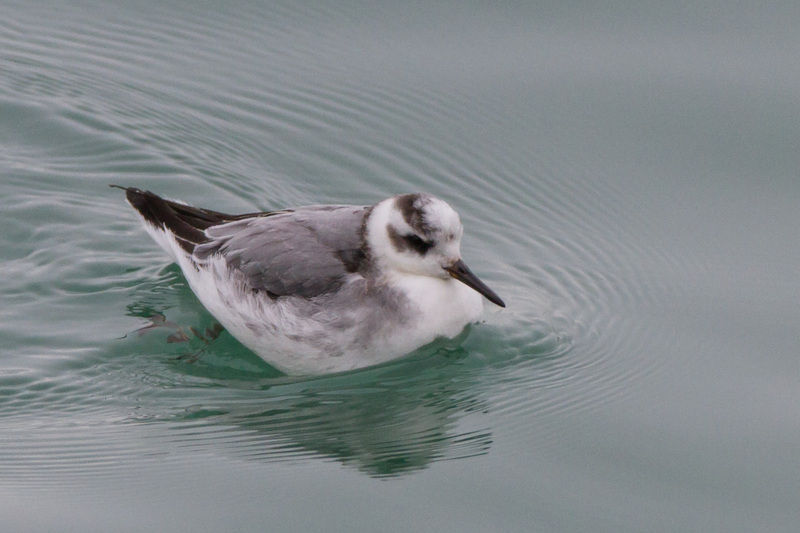 The phalarope proved to be quite the agitated bird always darting about and constantly fluttering everywhere. As I was enjoying the snow-covered scenery, a fellow birder pointed out a pair of beautiful Black-legged Kittiwakes that were circling in and out of the mist just below the Falls. I was so thrilled.... This trip to Niagara certainly taught me there is a more beautiful side to the harsh Canadian winter that I am all too familiar with!